This is how we teach collection in the academic art of riding. Already on the circle, we ask the horse to move his shoulders – a bit in, a bit out, a bit in, a bit out. Just a bit, slightly increasing and decreasing the circle. 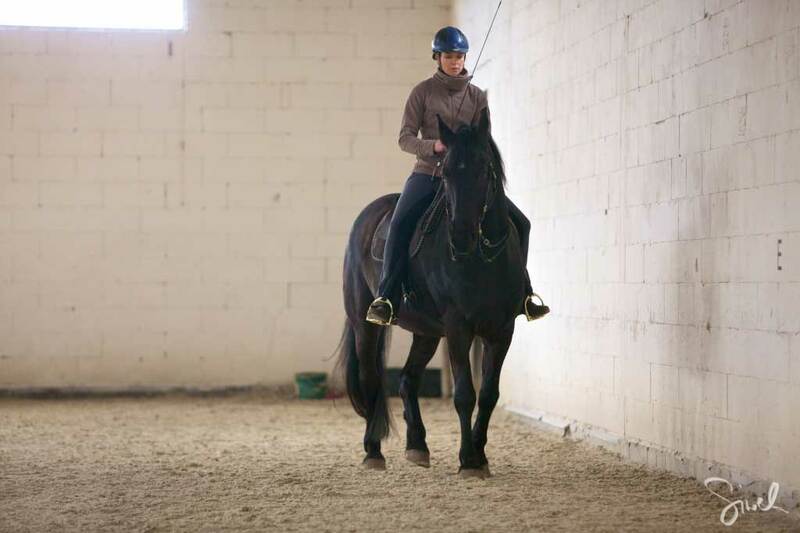 The horse will find it’s balance in the middle after a few times and will also be less heavy on the shoulder, as it all the times expects to move it this way or that way (it’s important to keep the bending during this). Then we do the same with the hind legs. We do a bit shoulder-in, asking the inside hind leg to step under more, then a bit quarter-in, asking the outside hind leg to step under more (without losing the inside one). Moving one hind leg under the center of mass, then the other one. The horse starts to be flexible in both hind legs and having his weight equally on both hind legs. Also here it is important to keep the bending and in addition to watch out that the horse is still well balanced on both shoulders, so it must be possible to increase or decrease the circle at any moment without losing the shoulder-in or quarter-in. If we are successful, we have a horse in a horizontal balance that can easily turn and go from one gait to the other. Next, we start moving more weight to the hind legs. Just like we did with the shoulders and hind legs, we start to collect and extend, moving weight to the hind legs and releasing the horse again into a forward-down. 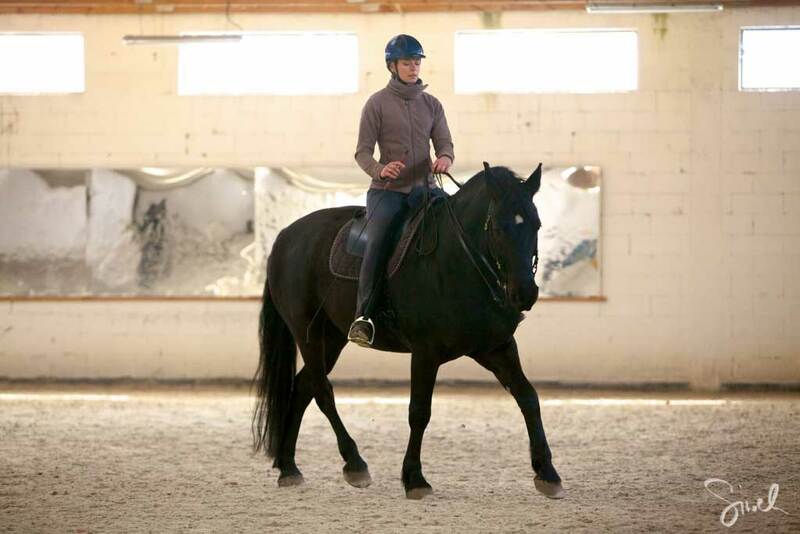 We use the shoulder-in for forward-down – the horse can step under with the inside hind leg and lengthen the top line. Then we ask for some steps of quarter-in collection, giving half halts with our seat, bringing more weight on the haunches, without loosing the shape or having the horse drop his back. Then we release into a shoulder-in forward-down and again for quarter-in collection. The circle helps us to keep the bending and to keep equal weight on both shoulders. We play with shifting the weight back and forth, naturally, without pulling or tension. On the contrary, if there is any tension building up, we go back to moving shoulders and hind legs, until the horse becomes soft again. That’s how playing with the horse’s balance eventually leads to a higher and higher degree of collection. In the pictures you see me and Weto playing with shoulder-in forward-down and quarter-in collection, during the course with Marius Schneider in April 2017 in Warsaw.